party! You would have to know my husband, but the center of attention, is not his ideal! He knows I love any excuse to plan a party. I kept this one pretty simple, as to not loose my privilege to do this for him again in the future. My husband has many hobbies, but one thing he loves to do in the Spring, is fish. There is something so relaxing about being on the water, in this beautiful state, waiting for the fish to bite. What made this even more fun, was that I had never styled a fishing party before. No party, big or small, is complete without the perfect invite! 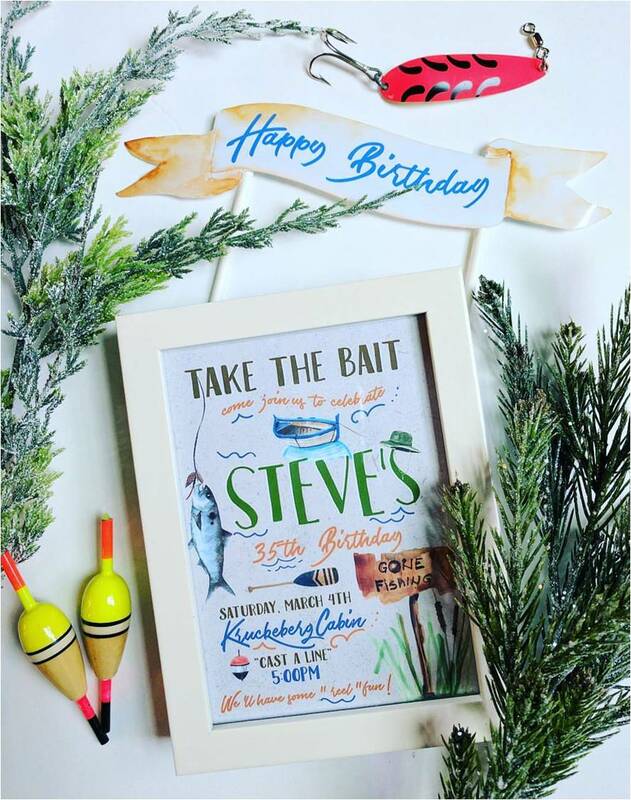 Alyssa with Just a Little Sparkle outdid herself, with this adorable fishing inspired invitation. She also created this matching cake banner that was the perfect accent for the birthday cake. She nailed the look I was going for, and I love how it turned out. Decorations were kept simple, with a few fishing accessories from my husbands collection and some yummy desserts. This darling tissue tassel was made for me by Glam Fete, they have the most adorable party supplies. One trick I love to use when planning any party is to scout my home first, for any supplies or decorations I could use for my theme. My favorite place to shop for any boy party I am styling, is usually my husbands garage. He has the best little treasures, and I can always count on finding something old and rusty, which is my favorite for any party. I love using real items, because they tell a story and it gives you a chance to showcase them in a new way. My husbands favorite cake is German Chocolate. I decided to try a homemade version I found and it was so moist and delicious, I highly recommend it! See the recipe for the cake here and the frosting here. Another favorite of his is anything peanut butter. To keep things easy, because lets be real...life is busy, I frosted store bought peanut butter cookies to look like bobbers. No fishing party is complete without worms...gummy worms that is! With kids on the guest list, this was a hit. Happy birthday to my amazing husband, who puts up with my crazy ideas and is my biggest fan! 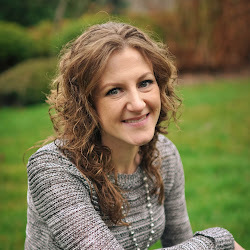 35 looks good on you...cheers to the happiest of birthdays!